Sydney is known for nightlife, trails, beaches, parks, and museums. 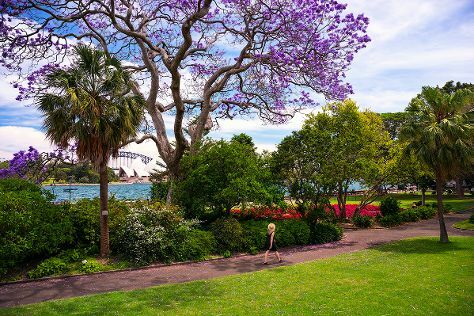 Your plan includes some of its best attractions: admire the natural beauty at Royal Botanic Garden Sydney, enjoy the sand and surf at Manly Beach, get up close and personal with brilliant marine life at Sea Life Sydney Aquarium, and take a stroll through Darling Harbour. To find more things to do, where to stay, traveler tips, and other tourist information, read our Sydney trip builder site . Expect a daytime high around 28°C in October, and nighttime lows around 17°C. Wrap up your sightseeing on the 31st (Thu) early enough to travel back home.